Several years ago, I sat at a café in Rome on a sunny afternoon, sipping vino rosso, and thinking about my work. At the time, I had not yet published a book, but I had written two. Breathing in the atmosphere of the eternal city, I asked myself, “Could I set a Regency romance in Rome?” It would have no Hyde Park, no assemblies at Almacks, no country manors… Yep. It turned out I could. After all, Keats died in Rome during the Regency, and mad, bad, dangerous Lord Byron had visited. So had myriad young men on their Grand Tour. The answer to that question ultimately resulted in Dangerous Secrets, my second published novel. In it a shabby, down on his luck major who has fled to Rome to hide from shameful secrets (and who happens to be a baron when he bothers to admit it), accepts employment from an prim little English widow who has come to Rome to assist her ailing brother, and who requires an interpreter. Neither is quite what they seem at first. Add a mischievous niece, a managing mother superior, a menacing count, revolution, misogynistic Italian courts, and soon he’s more bodyguard than interpreter. He even enters a sham marriage to protect her. Is my Muse’s name “Travel?” Boy is it! I always say my passions are faith, family, history and travel, and all four fuel my stories. Travel gives me setting, atmosphere, and more often than not, the kernel of a plot. Having put Dangerous Secrets in Rome, I wondered how to get the hero of Dangerous Weakness to Istanbul, or Constantinople to be correct, which I had visited a few years before. Sidestepping the obvious white-slave-in-the-harem trope, I decided the Sultana would hire the heroine (a very pregnant heroine posing as a widow) as a teacher in the Seraglio. It is detail that brings stories to life, and I could visualize the Topkapi Palace because I had been there. In this case travel fueled historical research, which fired imagination, which permeated the book. Wandering through a bookstore in Venice one afternoon I came across a copy of In Venice and the Veneto with Lord Byron—everything I needed to know about Venice in 1818. How could I resist? Soon the elements of Lady Charlotte’s Christmas Vigil began to percolate through my imagination. In it a young English lady traveling through Europe with her brother is stranded in Venice when the brother falls ill. The fool tries to swim the Grand Canal like his idol, Byron. A handsome, if somewhat managing, Italian doctor comes to her rescue. The narrow side canals and walkways filled my head as did the faint air of rot radiating from some of the ancient palazzos; these details convey emotion and move the plot. A trip to Orkney last year has provided me with two stories so far. The Whaler’s Treasure is a short story about an American whaling captain who puts into a fictional fishing village loosely modeled on Stromness, and a tavern keeper’s daughter. I included a visit to the Braes of Glenlivet, through which we had also hiked on that trip. I wrote it as a gift to my newsletter subscribers. The second is the novella I’m just now writing for Scarsdale Press’s Marriage Maker series. It features a heroine whose brilliant musical talents are overlooked and unappreciated until she travels to Kirkwall to be organist and choir director at the magnificent cathedral. Those islands are so magical I suspect there will be more. My contribution to the Bluestocking Belles’ 2017 holiday anthology, Never Too Late, “Roses in Picardy,” takes place in another spot I love, Amiens, France. The medieval quarter, the cathedral, and the floating islands, came to life easily from my memories. However, the cathedral’s memorial tablets extolling the British/American/Australian/and Canadian troops that fought in and around there in two world wars actually inspired the plot. Again travel led to research that turned into story. Sometimes it works the other way. When I decided to write a series (Children of Empire) about three cousins set in the far reaches of the British Empire, imagination prompted research that only later resulted in travel. 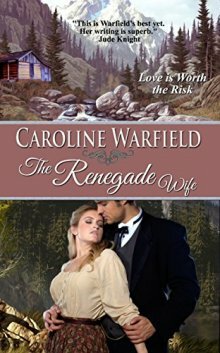 The first in the series, The Renegade Wife, is set in Upper Canada, now known as Ontario. The history has always fascinated me, and I have ancestral links to the area. In the process of writing it, however, I became fascinated with the Rideau Canal. When the hero pursues the heroine’s abusive husband in order to protect her and her children, he travels the canal. After I finished the book I had to go see it for myself. What else could I do? We drove to Ottawa and followed it south, and it did not disappoint. You might suspect I’ve also visited London, three times to be precise. Because my Children of Empire heroes all either leave from or return to London it crops up in my stories quite a bit. London also appears in all three books in the Dangerous Series. In most cases it has a bit part, stemming largely from my belief that many historical romances take place there, and I don’t need to add to the list. Book two in Empire, The Reluctant Wife, actually takes place in part in West Bengal and Calcutta. It includes a long section about the so-called overland route from India to London that incudes scenes in Cairo and Suez. I fear I have visited none of those places—yet. On the other hand, there are other places I’ve been that still have not yet appeared in stories: Paris, Athens, Patmos, Rhodes, Glasgow, Ephesus, Florence, Edinburgh, Assisi, Greenwich, Pompeii…the list goes on. Book three in that series, The Unexpected Wife, will come out July 25. In it the hero accepts a commission from the newly crowned Queen Victoria that takes him to Canton and Portuguese Macau to investigate the opium trade. He gets more that he bargained for when the daughter of an old friend worms her way into his heart just as his estranged wife turns up to cause trouble. When tensions inch toward the opening shots of the First Opium War, he has to act to protect them all. Have I been to Macau? I fear not. The closest I’ve come is the airport in Hongkong on my way to New Zealand and Singapore earlier this year. Never fear, however. We also went up the coast to Malacca, Malaysia, another sixteenth century Portuguese colony, and I was able to wallow in ruins, historical markers, atmosphere, and, yes, story ideas. I learned that the British held Malacca in 1800 but had to surrender it to the Dutch in 1818. They went south to convince the sultan in what is now Singapore to let them shoulder their way in. There’s a story in there. That trip I also photographed many historic tombstones, each one a story idea. Just give me time. Traveler, would-be adventurer, Caroline Warfield grew up in a peripatetic army family. Now retired to the urban wilds of Eastern Pennsylvania, she writes romantic stories set in the Georgian and early Victorian periods in which she lets her characters lead her to adventures in England and the far-flung corners of the British Empire. She nudges them to explore the riskiest territory of all, the human heart, because love is always worth the risk.